Spring has Sprung! Time to get outside. From swimming to boating to fishing, Angle Lake Park provides the perfect summer getaway for the entire family. With 10 lake-front acres to explore, the park is ideal for walking, throwing a Frisbee or planning the perfect picnic. And if you’re looking to cool down, Angle Lake Park has a spacious spray park play area with many fun water features. Best of all, it’s free! Opened in 1970, the Des Moines Marina and Beach Park offer an endless amount of family fun! Drop your line and sinker at the marina’s public fishing pier, rent a kayak or paddle board, enjoy fresh seafood at one of the various restaurants, or soak in the sights on an exciting boat ride through the Puget Sound. With so much to do, the Des Moines Marina and Beach Park is sure to make a splash for you and your family for years to come! Ideal for a peaceful walk, this trail offers a paved trail with waterfront views. From the gentle babble of the Des Moines Creek to lush foliage and lichen-daubed alder trees, this park is a quintessential Pacific Northwest experience. The southern end of the trail reveals a pier walk, and Saltwater State Park provides sandy beaches, tide pools and a scuba diving reef. Amenities include picnic tables, drinking fountains and a network of trails. 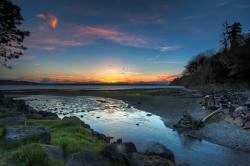 Spanning 54 acres, Fort Dent is the largest park in Tukwila. Considered the “go-to” park for many locals and families, Fort Dent offers many amenities, including two kiddo-approved play areas, a picnic area, hiking trails and a soccer field. The Fort Dent Bridge is another fun spot for families and a great place for photos. The park also hosts several sporting events throughout the year, including soccer, rugby and ultimate Frisbee matches. Bust out the bikes and get those wheels turning on Green River Trail, which winds more than 19 scenic miles. 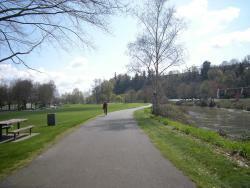 Starting at Fort Dent Park, this paved trail runs along the scenic Duwamish and Green Rivers, before entering the city of Kent and, later, Auburn. Along the way, feast your eyes on a variety of gorgeous rural terrain and industrial landscapes, including Briscoe Park, Tukwila&apos;s Bicentennial Park and the Green River Natural Resources Area. The trail is also ideal for walking, jogging and roller blading. Started in late 1999, many of the botanical garden’s plants were salvaged from land bought as part of the expansion of Seattle-Tacoma International Airport and have been in the community for decades. 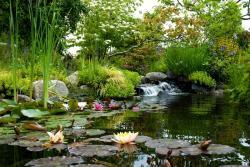 Home to a serene Seike Japanese pond-and-mountain style garden and several species-specific gardens such as fuscias, irises, roses and more. The center of the Seattle Rose Society Celebration Garden offers a beautiful and fragrant gathering place for weddings and events. Often used by commuters, this trail goes through Tukwila, Kent, Auburn, Algona and Pacific for a near straight 14-mile route. This asphalt trail is ideal for any kind of bike and has multiple access points. Prepare yourself for a variety of landscapes from historic industrial areas to expanses crossing the Green River Valley. Oh, Redondo. 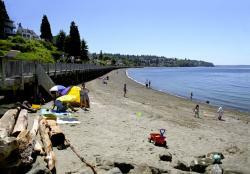 It may be slightly different from the famed California beach of the same name, but Redondo Beach in Washington State is just as nice! With restaurants, local shops and a fishing pier, Redondo Beach is perfect for those breezy summer days. Unwind as you stroll along the boardwalk and gape at the beautiful beach houses nestled alongside Poverty Bay. Relax and enjoy picturesque sunsets, or bring the kids and go for a swim. If you’re feeling extra adventurous, take a kayak or paddle boarding lesson at the beach’s Olympic Outdoor Center. The beach also allows pets, making Redondo the ideal place for even the furry ones in your family. Surrounded by trees and greenery this park is an urban paradise for bikers. Located under the flight path of Sea-Tac International airport, the trails were created with off-road (bicycle) racing in mind. Bike enthusiasts should know, though, that the trail is ideal for intermediate skill levels. Located within Fort Dent Park, Starfire Sports is the place to be for soccer fans of all ages! 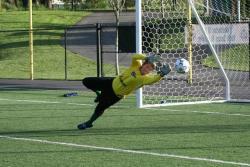 Show off your best bicycle kick in one of 12 outdoor fields, or take the game indoors to one Starfire’s indoor fields. The campus is also home to a 4,000-seat soccer stadium, where many exciting soccer matches and other activities are hosted during the year. Not to mention, Starfire Stadium is the home of the Seattle Seawolves, Seattle&apos;s first Major League Rugby team!